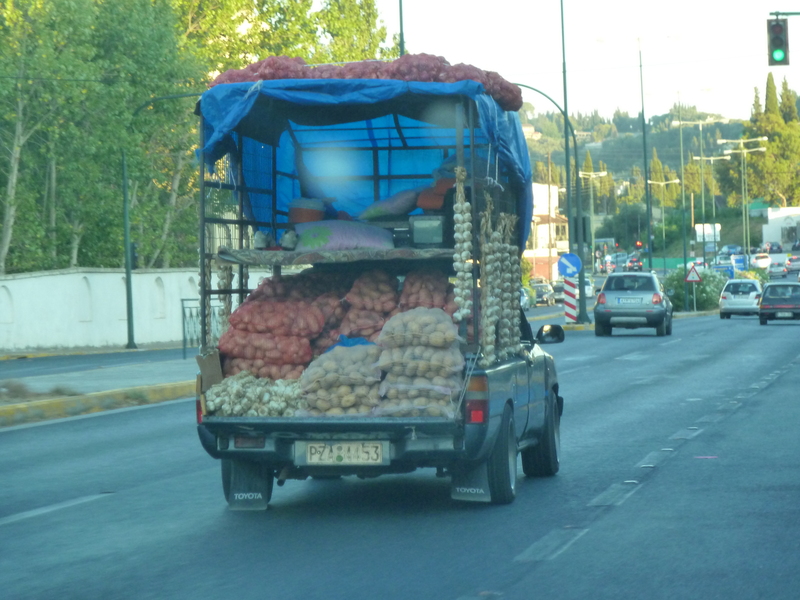 While vacationing this summer in Greece we saw a number of trucks loaded with everything from melons to garlic and potatoes. The driver used a megaphone to announce what was for sale to the passing neighborhoods. Pretty straight forward. Sort of like the ice cream truck, except way more practical not to mention healthy. I was instantly reminded of this when I ran across this article in Huffington Post entitled, “A Mobile Strategy for America’s Eating Problem discussing a system for delivering produce to those with low access. Perhaps this age-old nation, some might even say the birthplace of civilization, has been doing this for centuries in one form or another. The idea is brilliant and would save customers on transport fees, unnecessary packaging and obviously make it more convenient and accessible. It’s an honest, down-to-earth way to service communities with fundamental needs. I dig it. Watermelon, anyone?